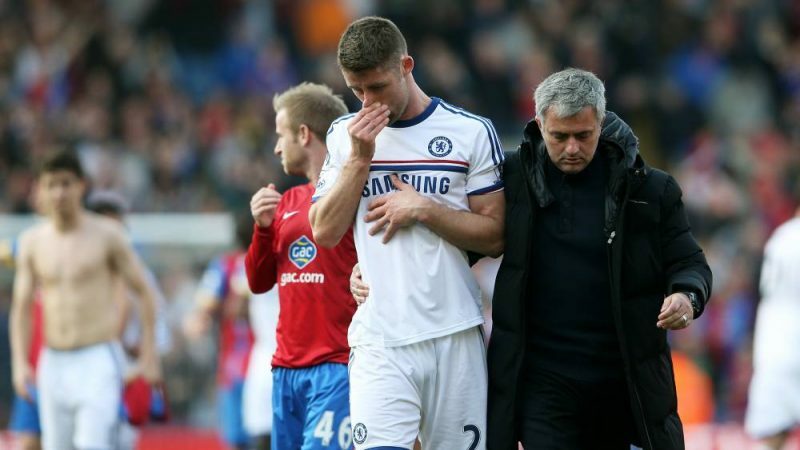 Chelsea’s former manager Jose Mourinho could be re-united with Gary Cahill this summer, and if you’ve still got your bet365 bonus code, you should lump it on the defender heading to Manchester United before long. According to yesterday’s report from Evening Standard, Cahill is plotting a move away from Stamford Bridge before the end of the month. The 32-year-old is not happy to stay at the club if he’s not guaranteed a place in the first-team, and there’s plenty of competition in Chelsea’s defensive ranks. David Luiz, Andreas Christensen, Antonio Rudiger, Cesar Azpilicueta and loan returnee Kurt Zouma are all fighting for their place in the Chelsea side with Cahill. Chelsea are also looking to sign Maurizio Sarri’s old player Daniele Rugani from Juventus, who’s reportedly close to agreeing a deal with the Londoner side. Newcastle captain Jamaal Lascelles and Alessio Romagnoli have also been linked with a move to the Bridge. Accoridng to the bookmakers (via DailyMail), Manchester United are the favourites to sign Cahill this summer. United are at 5/4 to bring Cahill to Old Trafford this summer, with Wolves (3/1), West Ham (4/1), Everton (9/1) and Liverpool (11/1) the other likely destinations. Cahill has won two Premier League titles, two FA Cups, the League Cup and both Champions and Europa League trophies during his time at Chelsea, and will go down as one of the most accomplished players in the club’s history once his time here comes to its end.